Almost 550 farmers suffered injuries serious enough for them to take at least a week off work over the last summer (December 2017 – February 2018) while there were three fatalities on farms. The major causes of injuries were trips, slips and falls, being hit or bitten by animals, hit by moving objects and incidents involving vehicles, according to data from ACC. “However the statistics show that it is also a busy time for accidents, including the most serious. Our research has shown that there is almost always a vehicle involved when someone dies as a result of a farm accident at this time of year. “It’s thinking about the locations of ditches, slopes or furrows. That might mean going back to the shed to switch vehicles, or going on foot. “Operator protective devices, like roll over protection and the use of seat belts in vehicles are key areas farmers can reduce the likelihood of an accident. 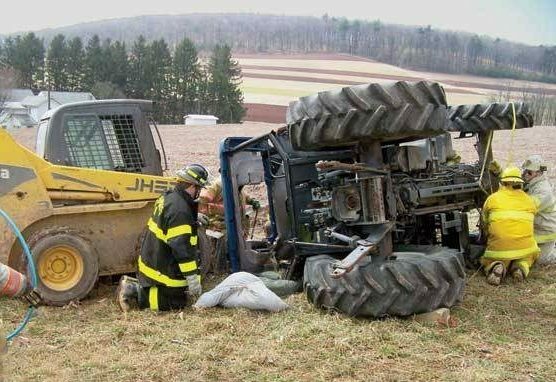 Many tractor fatalities can be prevented by the driver wearing the seat belt. Sun exposure is also a major summer health and safety hazard for those working in the sector – and while the initial impact of sunburn might be some discomfort, the long-term effects can be deadly. New Zealand has the highest overall melanoma skin cancer rate in the world and past research has shown that one in four New Zealand farmers have suffered skin cancer. Farmer, rugby legend, and Safer Farms Ambassador Richard Loe says he has changed his behaviours around sun safety and is urging other farmers to follow suit. “Slop on plenty of sunscreen at least 20-minutes before going out, use at least SPF 30 and take the bottle with you and reapply every couple of hours – especially if you’ve been doing sweaty work.